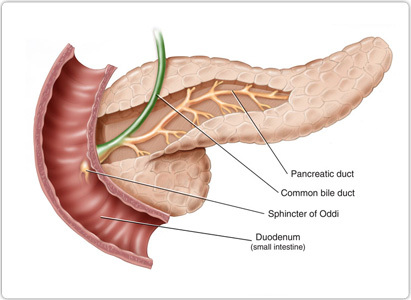 Pancreatic cancer is one of the malignant tumors in the digestive system with high incidence rate, but many patients do not know the symptoms of pancreatic cancer thus they cannot find the cancer in time, missing the best treatment time. Symptoms of pancreatic cancer differ in each stage , so any symptom should not be ignored and if the symptoms become significant, the cancer is very likely to be the advanced stage. Then what are the symptoms of pancreatic cancer? There are no significant symptoms in the early stage. 1. Abdominal pain: it is more common in carcinoma of pancreatic body and carcinoma of pancreatic tail, usually occurring on the upper abdomen, navel around or right upper abdomen, manifested as gripping pain, intermittent or continuous, gradually aggravated dull pain. The pain intensifies when lying down and at night, but it will ease when sitting, standing, leaning forward or walking. 2. Loss of weight: approximately 90% of patients experience rapid and significant weight loss, while it will often be accompanied by dyscrasia in the advanced stage. 3. Jaundice: It may occur in middle and advanced stage. Jaundice is often continuous, gradually deepened. When tumor completely blocks bile ducts of the liver, stools lose their brown color, becoming a pale, clay color. Skin becomes yellow (brown or bronze), accompanied by itching. 4. Weakness and loss of appetite: they are relatively common and gastrointestinal symptoms such as nausea, bloating, and nausea can be accompanied. In some cases there may be steatorrhea and hyperglycemia (high blood sugar), glycosuria. 5. Some patients with pancreatic cancer may develop anxiety, depression, sleeplessness, personality change, etc. 6. Fever: it may occur in at least 10% of patients with middle and advanced pancreatic cancer and fever may be manifested as low heat, high fever, intermittent fever or irregular heat, which may be related to pyrogen released by cancer cell itself or secondary infection of biliary tract. Experts from Modern Cancer Hospital Guangzhou remind you that if the symptoms mentioned above occur, you should go to regular hospital for checkup and treatment as early as possible.